The standalone version of DayZ keeps being delayed for more bugfixing to the game. Project lead for DayZ standalone version, Dan Hall answered questions about the project, which was initially supposed to launch last year, on Reddit. 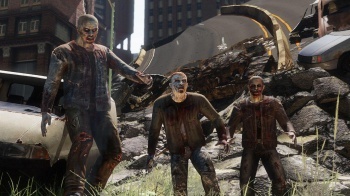 The standalone version of the open-world zombie videogame does not have a firm release date, but developer Bohemia Interactive is working on fixing remaining bugs and optimization issues. In subsection "Optimizing/Bugfixing Dedicated server, Hall wrote, "This is why we are not out. We need performance." Bohemia Interactive wants DayZ standalone to be a minimum of 15 frames per second with 50 players, 2,000 zombies, and 25,000 loot items. Hall said the code needs to be tidied up and the team is optimizing a variable synchronization system. Right now the synchronized variables are checked for each player, which is inefficient. This issue is the biggest obstacle to the alpha version of the game. "We also have a bug where sounds (which are temporary vehicles) are being queued up and sent to all JIP players," Hall said. "This causes us a steady loss of performance on the server." Bohemia Interactive is reluctant to give a release date for the game. "If I start saying, 'Oh, it won't be out then,' people start asking me about the day after, and the day after," Hall said. "So it just encourages people to keep asking me when it is, and the 'announced date' would be when I go, 'Yeah, it could be out then.' "
So far the game provides basic functionality for 10-20 players, Hall wrote in the Reddit post. The new zombies are still a work in progress as they glitch through walls often at low frames per second. A bug in cities also causes lower frame rates, but Hall said the performance is smoother than with the mod. In the meantime, the team will continue optimizing the game. It will release someday.